Administrative Law Judge, Jacqueline Jones, Office of Administrative Hearings, Special Education Division (OAH), heard this matter on December 18, 2006, in San Jacinto, California. Petitioner San Jacinto Unified School District (District) was represented by Gregory Alexander III, Coordinator of Special Education. Also present on behalf of the District was Eric Mora, Director of Special Education. Respondent Student was not present and no one appeared on his behalf at the hearing. District placed calls to the mother (Parent) on the day of hearing. Both the cell telephone number of the Parent and the home telephone number were not in service. Parent had adequate notice of the hearing. There were no requests for continuances received. The hearing was scheduled to begin at 9:30 a.m. After waiting 30 minutes, the hearing began at 10:00 a.m.
On November 16, 2006, District filed a request for mediation and due process hearing. On December 6, 2006, a mediation was scheduled. No one appeared on Student’s behalf at the mediation. Oral and documentary evidence were received, the record was left open, and the matter was continued for good cause until January 3, 2007, so that a written closing argument could be submitted. Did the District provide Student with a free appropriate public education (FAPE) at the individualized education program (IEP) meeting on September 14, 2006? 1. Student is a 15-year-old boy who resides within the geographical boundaries of the District. 2. In school year 2006-2007 Student was in the tenth grade. 3. On April 30, 1996, the District determined Student eligible for special education services based on Emotional Disturbance. 4. At the annual IEP meeting, on March 24, 2006, the IEP team developed a Behavior Support Plan1 to address behavior issues. The District enrolled Student in a Special Day Class (SDC) at Beaumont High School (County Program) in Beaumont, California. 5. Student received a suspension for one day, on May 23, 2006, at the County Program for being disrespectful to staff and cursing at staff. 6. At Parent’s request, a new IEP was developed on May 25, 2006. The purpose of the IEP meeting was to discuss the appropriateness of placement. 7. A discussion of change of placement occurred on June 8, 2006, at an IEP meeting. Parent agreed to the transfer of Student to Keystone School, a nonpublic school (NPS). 8. Student attended Keystone beginning on August 28, 2006. 9. Student engaged in physical aggression towards another student on September 7, 2006. Student also engaged in physical and verbal aggression towards staff on the same day. A. Classroom behaviors that impede the Student’s learning or the learning of others. B. Classroom or school behaviors that may lead to disruption, aggression, or disciplinary action. C. Aggressive or destructive behaviors that can cause potential injury to self, others, or property and result in disciplinary actions. Three IEP goals related to these behaviors were identified. The goals were in the areas of staying on-task, behavior and social/emotional. 1 This term is frequently used interchangeably with behavior intervention plan. 2 Sacramento City Unified Sch. Dist. v. Rachel H. (9 th Cir. 1994) 14 F.3d 1398, 1403. See Legal Conclusion 4. 3 All references to the Education Code, pertain to the California Education Code. 11. At the September 14, 2006 IEP meeting, Parent refused to sign Keystone’s behavior management plan and time out procedures including use of physical restraint. District then filed the pending due process complaint. 12. As discussed in Legal Conclusion 1, it is the District’s responsibility to provide Student with FAPE. 13. Eric Mora is the Director of Special Education for the District. Mr. Mora has a bachelor’s degree in psychology and a master’s degree in school psychology. Mr. Mora has a tier-one Administrative credential. Mr. Mora’s background includes working as a school psychologist for three years. Mr. Mora was familiar with Student and has reviewed Student’s IEPs, and assessments. 14. Mr. Mora related that Student has an inability to maintain social contact with peers and adults and has difficulty with impulse and anger management. Student can read a passage but his comprehension is low. Student has very basic math skills and the ability to grasp some algebra skills. Student has a history of behavioral and academic problems. In Mr. Mora’s opinion, placement at a state-certified nonpublic school (NPS) addresses Student’s needs. The class ratio is small at the NPS. Mr. Mora indicates that the NPS specializes in behavior management. 15. As discussed in Legal Conclusions 3 and 4, school districts are required to provide only a basic floor of opportunity that consists of access to specialized instructional and related services which are individually designed to provide educational benefit to the student. 16. The evidence demonstrates that the offered program is reasonably calculated to provide some educational benefit because it offers a small class size and behavior management. 17. Legal Conclusion 4 provides that the program offered must comport with the IEP. 18. Gregory Alexander III is the Coordinator of Special Education for the District. Mr. Alexander has a bachelor’s degree in political science and a Master’s degree in education administration and a master’s degree in education/special education. Mr. Alexander has worked with students with special needs for the last seven years. Mr. Alexander is familiar with Student and has attended the Student’s IEP meetings on May 25, 2006, June 8, 2006 and September 14, 2006. 19. Mr. Alexander related that at the June 8, 2006, IEP meeting Parent agreed to Student’s attendance at the Keystone School. Parent signed the consent and placement to attend Keystone. 20. The offered program comports with the last agreed upon IEP of June 8, 2006. 22. Placement on a comprehensive public high school campus would not be appropriate because Student has below grade level academics and socio-emotional challenges. Student requires an educational environment where his behaviors can be better managed. Education in regular classes with the use of supplementary aids and services could not be achieved satisfactorily. 23. Mr. Mora related that Student did not meaningfully interact with regular education students. Student has difficulty with impulse and anger management. 24. Evidence established that Student posed a risk of injury to himself and to those around him. Student disrupted the educational environment of his fellow students, thus depriving them of full access to their educational content. 25. This was not raised as an issue. 26. 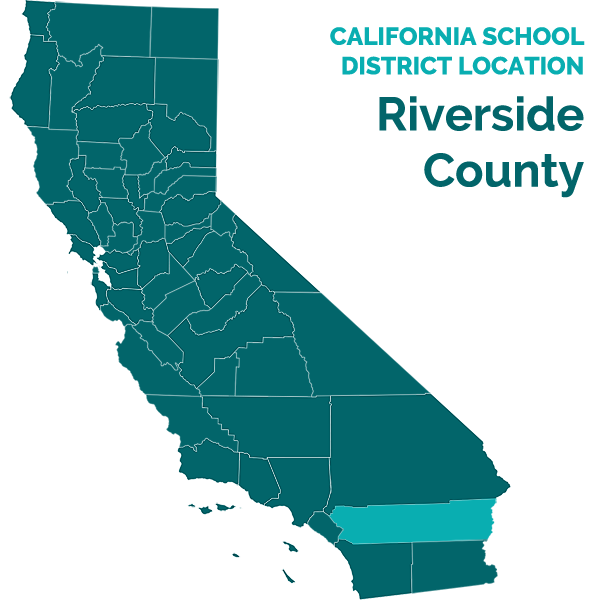 District offered educational and related services that were calculated to provide some educational benefit, in the least restrictive environment, a nonpublic school placement at Keystone. 27. As stated in Legal Conclusion 6, federal and state law require that an IEP team consider strategies, including positive behavioral interventions and supports when a child’s behavior impedes the child’s learning or that of others. 28. Student’s behavior on September 7, 2006 included refusal to follow school and classroom rules, exhibiting off-task behavior, talking out, defiance, distracting others, racial comments, verbal aggression, damaging property, yelling and sexual talk. This behavior impeded Student’s learning and that of others. Mr. Alexander’s testimony established that Student requires a nonpublic school placement with an appropriate behavior intervention plan. 29. District responded appropriately in recommending a behavior intervention plan and timeout procedures including use of physical restraint to ensure the Student’s safety and the safety of other students. In order to measure whether a placement is in the least restrictive environment the Ninth Circuit, in Sacramento City Unified School District v. Rachel H. (9th Cir. 1994) 14 F.3d 1398, 1403, has adopted a balancing test that requires the consideration of four factors: (1) the educational benefits of placement full-time in a regular class; (2) the non-academic benefits of such placement; (3) the effect [the student] had on the teacher and children in the regular class, and (4) the costs of mainstreaming [the student]. Issue 1: Did the District provide Student with a free appropriate public education (FAPE) at the individualized education program (IEP) meeting on September 14, 2006? 10. Yes. As discussed above in Factual Findings 9-29 and Legal Conclusions 1-9, the District provided FAPE to Student. 1. The District’s IEP dated September 14, 2006, is appropriate and if Parent continues to seek special education services from the District for Student, she must sign the Behavioral Intervention Plan so that Student can attend Keystone (NPS) which is being offered by the IEP. Education Code section 56507, subdivision (d), requires that the hearing decision indicate the extent to which each party has prevailed on each issue heard and decided. The District prevailed on the issue heard and decided.